The photographer would be stood just in Back Blackhorse Street, opposite St Edmunds Street, across Deansgate. Moor Lane, which can’t be seen in this photo, is the continuation of Marsden Road (‘High Level’)and is to the left. 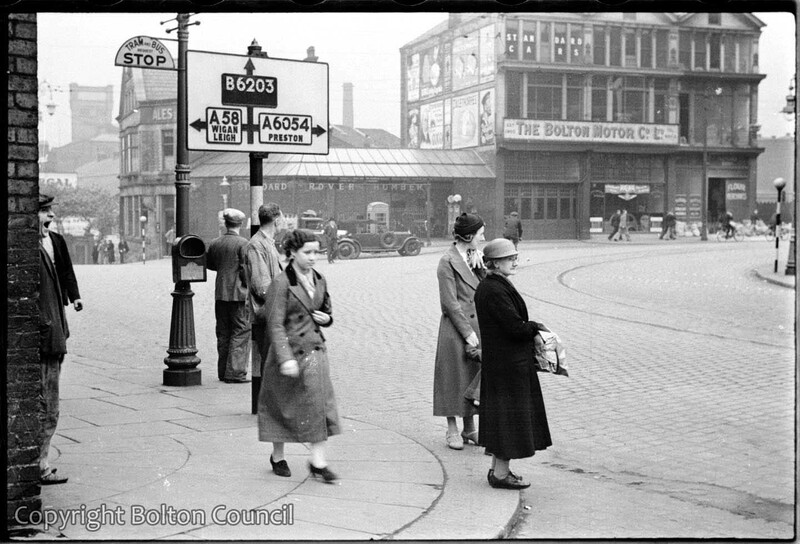 The building on the left edge of this photo is Deansgate Goods (Railway) Station. It takes me back to see belisha beacons without the black and white stripes for a pedestrian crossing.